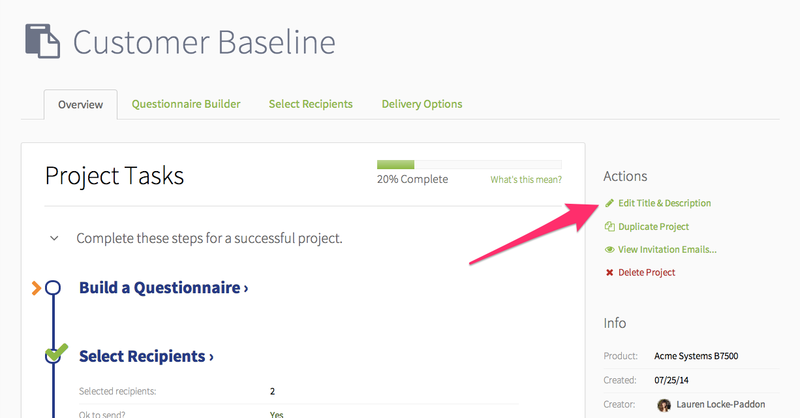 Follow these instructions to edit the name and description of a TechValidate outreach project. Remember, project titles and goals are for internal use only. 1. 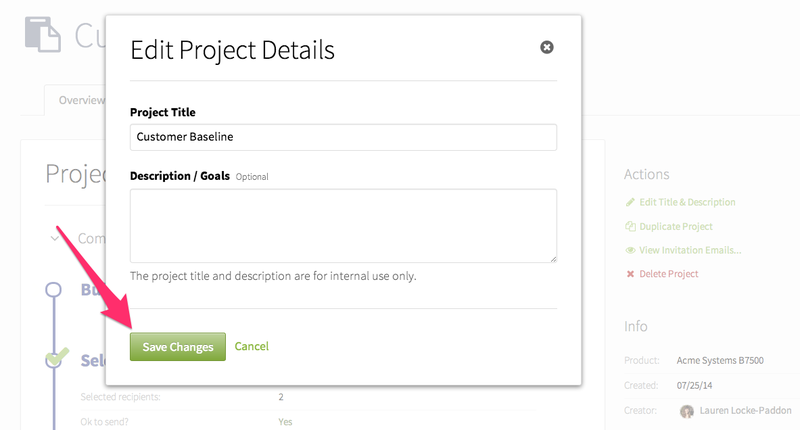 Log into TechValidate and select the project you would like to edit.